Rhythm Roulette is a YouTube series in which a blindfolded producer picks out 3 random albums in a record shop, then samples said albums to create a beat. They’re always fun to watch, but this one is the best yet. 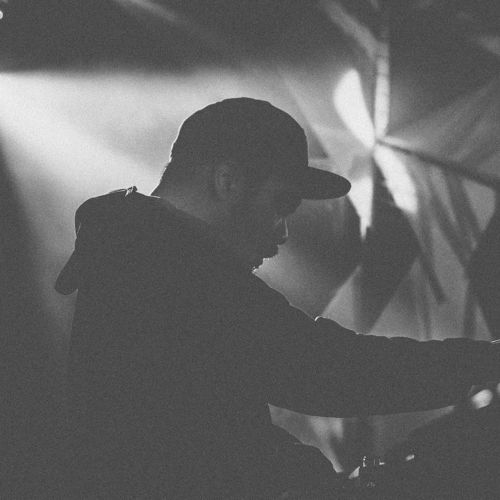 The brilliant Mr. Carmack puts on a production clinic, using nothing but sampled sounds to create this eerily groovy beat. It doesn’t end there though; talented San Francisco based rapper Adam Vida works alongside Carmack the entire time—delivering a flurry of catchy bars to accompany the hypnotizing beat. It’s really cool getting a glimpse into these guy’s creative process, and it doesn’t hurt that the song turned out amazing. Watch the video on YouTube and check out the instrumental and lyrical versions below. This was one of the coolest Rhythm Roulettes I’ve seen, I loved how he strictly used sounds off of the records and nothing else. Awesome post!